The massage felt great though do it wasn't a total loss. Well once I get sick I'm kind of useless for the rest of the day as all I want to do is sleep. 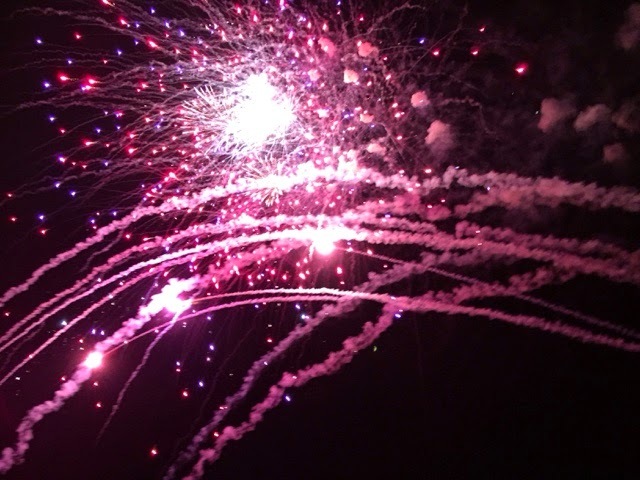 So my DH and DMIL got to spend some alone time together which was nice. They went and had breakfast and brought me toast. 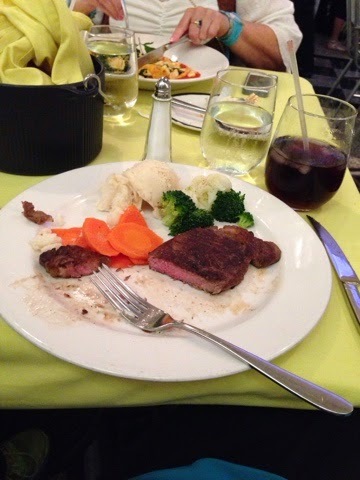 I was able to eat that before sleeping again. Unfortunately it's very hard for me to get real sleep when I get motion sickness. I just doze off and on. I was able to get up and get a lounge chair for about an hour but there was no shade which made things worse so after canceling our mixology class I went back to the room again to sleep. It was a day at sea so I feel like I didn't miss much. They mostly just hung out and ate. But I was hell bent on going to pirate night that night. We ladies wore our pirate costumes and DH dressed up as one of the lost boys from Peter Pan (the skunk who is toodles). Basically he was lazy with a black shirt and a skunk hat we had whereas I went all out with a corset and everything. I was really surprised people actually knew who he was. He was the hit of the night. Sorry for the bad pic we only had our phones. 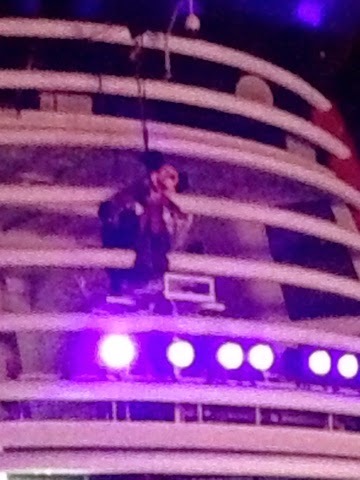 But we went to the pirate party before dinner and the ship got taken over! Luckily captain Mickey was there to save the day! 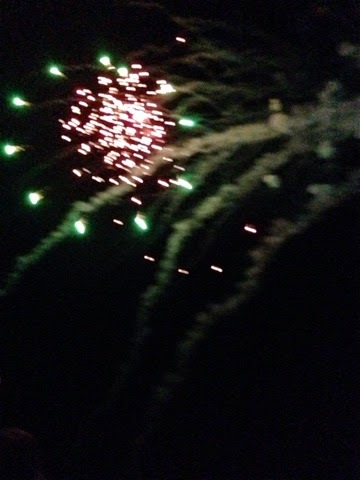 After we won we celebrated by blowing off some fireworks. 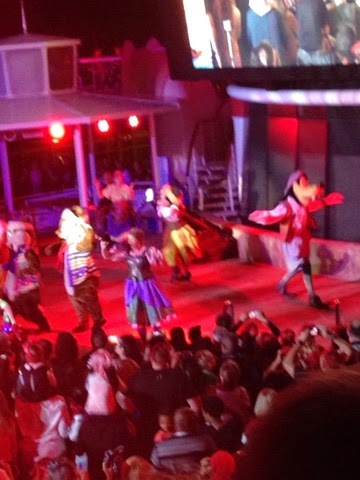 Disney is the only cruise line that's allowed to do this. They have to stop the ship so that helped my queasiness quite a bit. 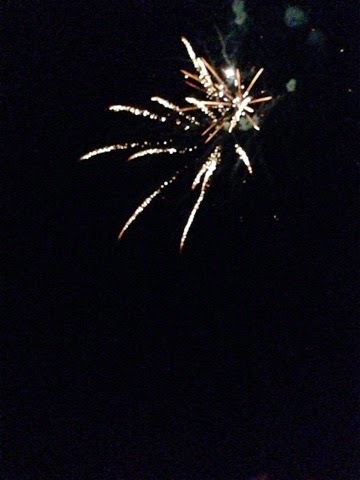 And there was a pretty strong wind which helped a ton. 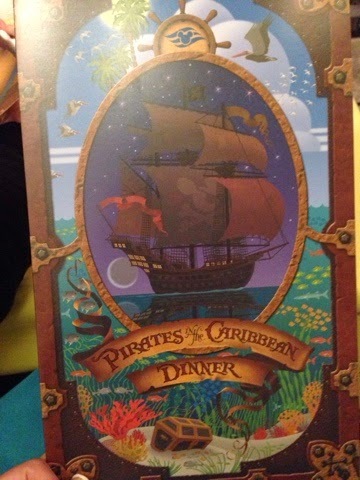 I was able to eat dinner at the restaurant which was a pirate menu. 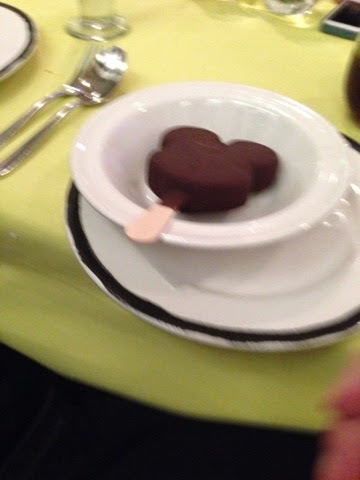 I didn't like the desserts that night so I got a Mickey bar instead. After dinner it was time again for bed. 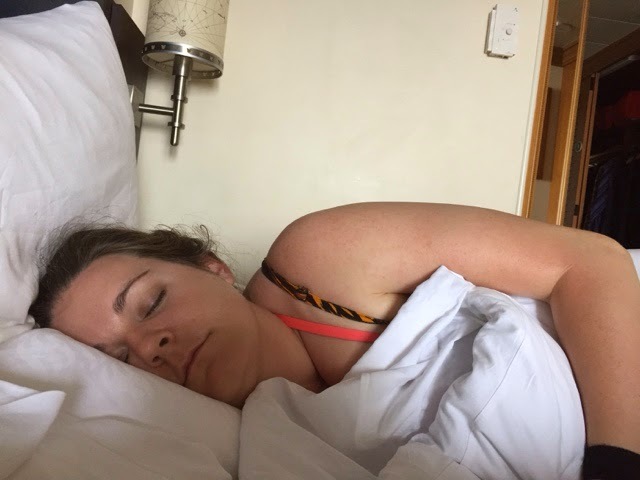 I was still exhausted from being sick and we had an earlyish day again for grand cayman. 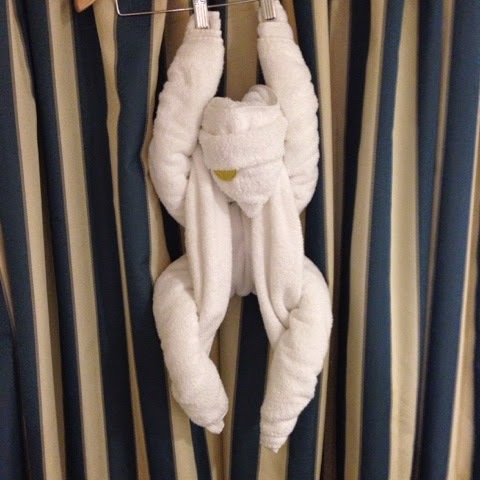 So when we arrived in the too we noticed this guy just hanging out. Lol a monkey with a chocolate eye patch. Join me again tomorrow for a day with the turtles! 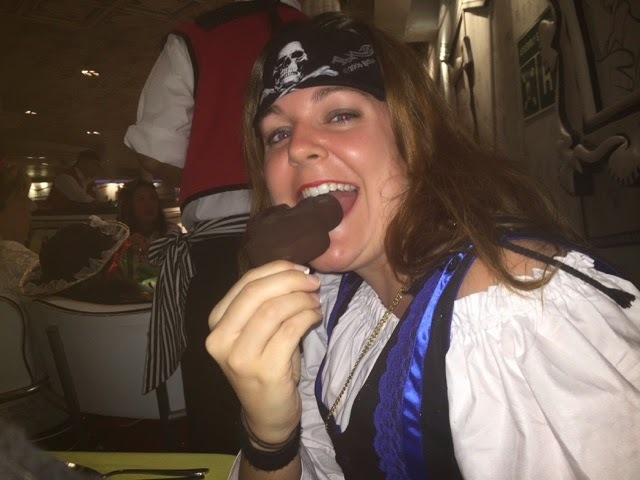 Arrrrgh we love pirates. Looks like a great time. Sorry you got sea sick though.